Cheap holiday in a terraced house on the lake Kaitajärvi in ​​Ristiina, near Mikkeli. The apartment has two bedrooms, a kitchenette and a bathroom. The size is ideal for four people. 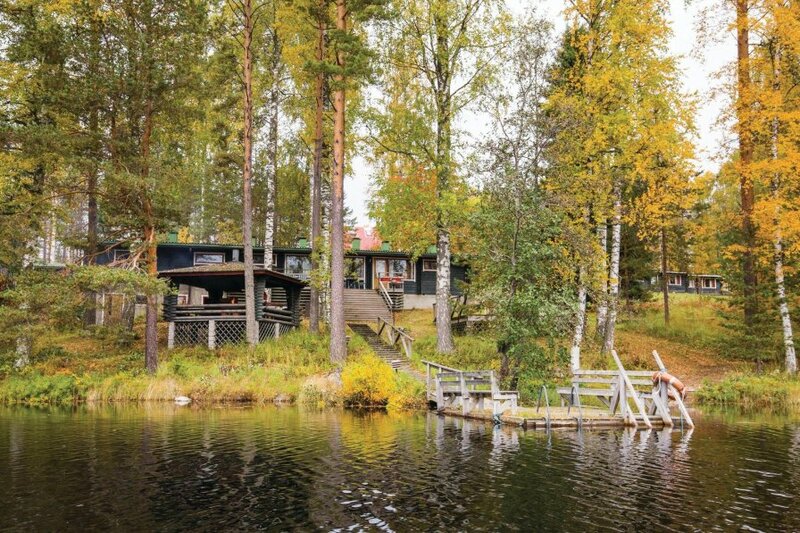 Cheap holiday in a terraced house on the lake Kaitajärvi in ​​Ristiina, near Mikkeli. The apartment has two bedrooms, a kitchenette and a bathroom. The size is ideal for four people. While staying rowing boats, canoes, bicycles and Nordic walking sticks are available for free. There are toys for the garden, such as petanque, darts and Mölkky, a game with wooden sticks. Provided further, to use for free, a common playground, table tennis, barbecue and the possibility to rent an electric motor are. Guests can also use the sauna at the beach use (for more details, you know the house owner). A very nice holiday for day trips in the Mikkeli region.